On our Season 2 finale, we speak with Senwung Luk about the top issues in Aboriginal law. 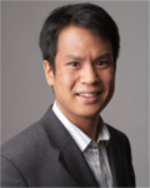 Senwung Luk is a Partner at Olthius Kleer Townshend LLP. He has appeared in different levels of court, representing clients in Aboriginal and treaty rights litigation, as well as in negotiations and litigation arising from duty to consult and accommodate Aboriginal communities. Senwung received his J.D. from Osgoode Hall Law School, where he won awards for highest standing in Aboriginal law, civil liberties, and constitutional law courses. Senwung also received a Bachelor of Civil Law from the University of Oxford, where he wrote a master’s dissertation on the constitutional protection of Aboriginal self-government rights. While in law school, Senwung took part in the Intensive Program on Aboriginal Lands, Resources, and Governments, where he was posted to Inuvik, N.W.T., to work with the self-government negotiating teams of the Gwich’in and the Inuvialuit. Senwung is a member of the executive of the Aboriginal Law Section of the Ontario Bar Association, and an adjunct member of the faculty for the Global Professional LL.M. Program at the University of Toronto Law School.